This is the first piece in a two part series about how physical spaces in cities relate to the past. This series is written by Elif Yasemin Azaz, a CoLab Radio contributor who works with Architecture for All in Istanbul, Turkey. The process of retaining information over time. The ability to use past experiences to determine future path. Therefore, urban memory is the information and experiences produced in urban areas. And just like the human brain can preserve, transform, or forget the memories of individuals, cities can do the same. Within architecture and city planning, some people believe urban memory needs to be protected; other people think it doesn’t need protecting. Some of the opinions why protecting urban memory is not seen as a need are that it is either bourgeois fantasia, an attitude of collectivism, expensive or a barrier to modernization (Gülersoy, 2012). Prof. Dr. Kemal Ahmet Aru highlighted that protected urban memory is integration, intimacy, feeling of unity in the Turkish cities where, in the current age, environmental quality is low and such feelings are missed, while also stating that urban memory definitely has to be protected. Prof. Dr. Nuran Zeren Gülersoy states that cultural values, emotional values, and utilization values are reasons for protecting urban memory. I support the idea of protecting urban memory because I think memory allows cities to preserve information, be sustainable, and support good decision-making at the present time and in the future. I think urban memory can be protected by giving physical structures and objects relevant functions. This idea is called “effective conservation”. 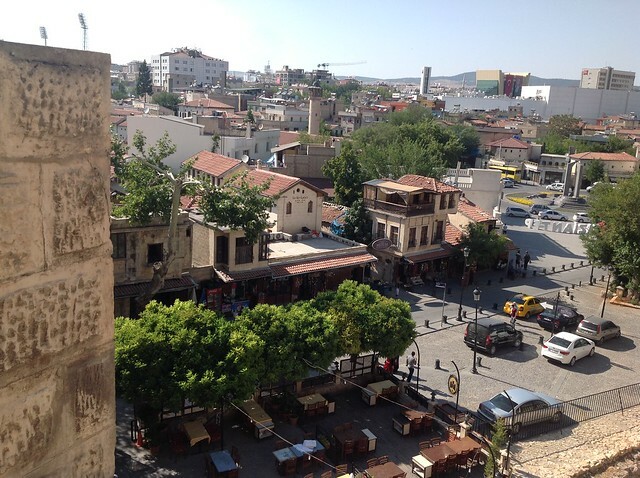 In this post I will share two examples of effective conservation from Gaziantep, a southeastern city in Turkey. The first example is Pistachio Nut Park and the second is about war memorials from Gaziantep and surrounding villages. In the next post, I will share examples that are transformations of idle facilities into design solutions for social problems. 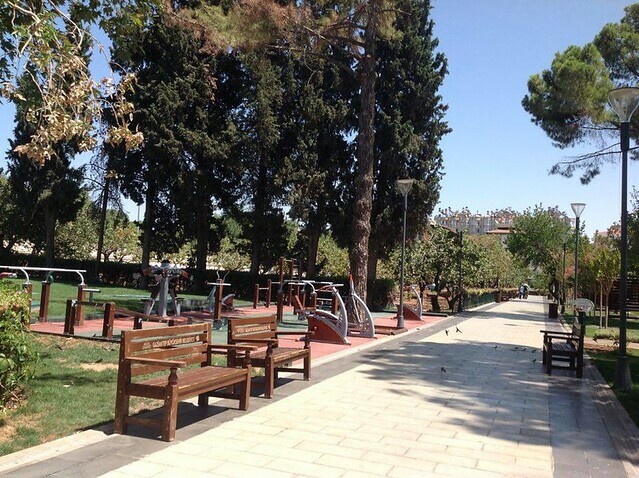 Pistachio Nut Park in Gaziantep is a unique park in the southeast of Turkey where nature and public place meet. Here pistachio nut trees are protected and cultivated alongside people working and playing. Turkey is the world’s 3rd largest pistachio producer (after Iran and the USA) and within Turkey, the pistachio nut is known with the province’s name: Antep fıstığı. 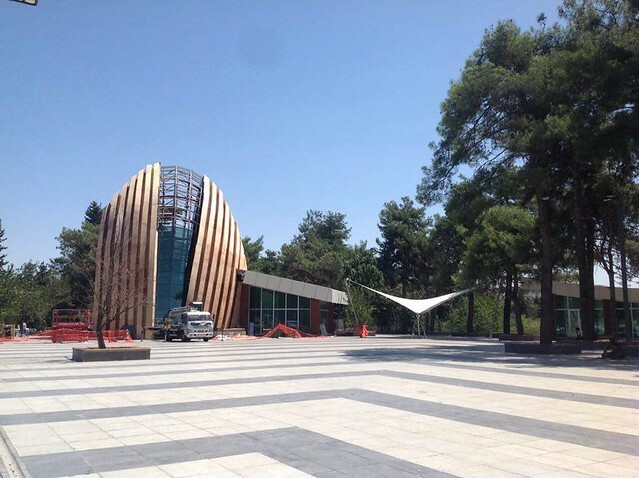 The pistachio nut park in Gaziantep was opened in the spring of 2016 by Gaziantep Metropolitan Municipality and combines nature, agriculture, and recreation aesthetics. First, the pistachio nut is highlighted in several ways. There are pistachio nut gardens all over the park. 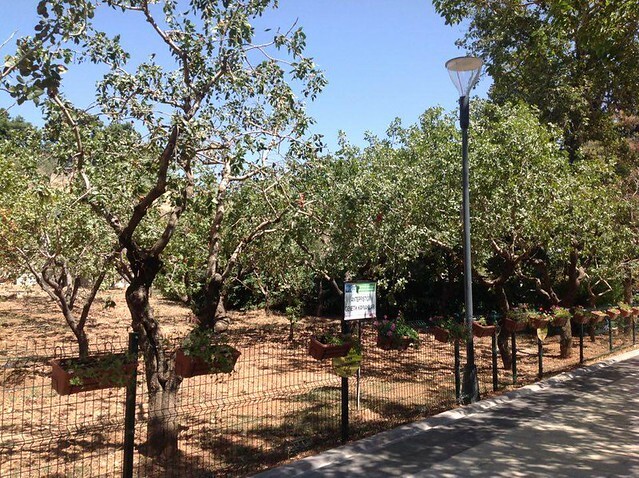 Even though it is a public park, the pistachio nut trees are conserved and protected and provide samples for the nearby Pistachio Nut Research Institution. In addition to the live pistachio trees, the architecture also highlights pistachios. The display building is in shape of a pistachio nut! Also a pistachio nut museum will be built in the park. What’s really interesting about the park to me is how close the public spaces are to the living pistachios. The pistachio nut gardens are separated and protected with fences. This allows pistachio nut gardens, pedestrian roads, pergolas, and sports to be located very close to each other. The square also composes a public space at the entrance of the park. This is a very good example of how natural conservation would shape up in a public park. 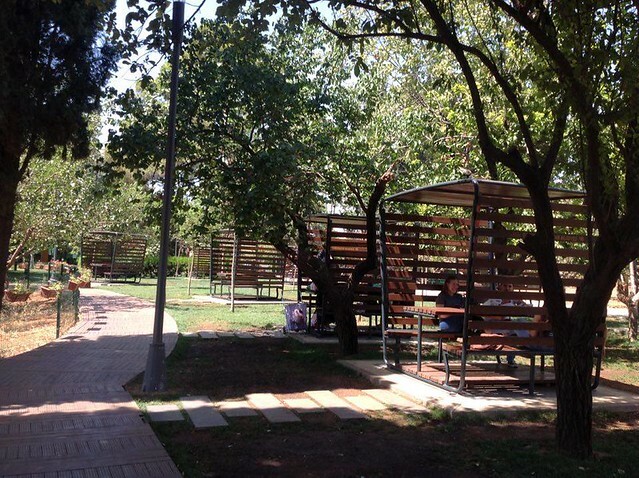 This park is a public place where natural, local treasures (pistachio nut trees) and daily activities can physically meet with each other. At the beginning of 20th century, the Ottoman Empire was having its weakest years. Çanakkale victory, which was taken during WWI, has been a very important milestone for the epic story of establishment of Turkey Republic. At the end of WWI, some of the cities across Turkey land were occupied by the enemy armies and Gaziantep was one of them. Mustafa Kemal Atatürk, as a leading commander, started the defense movement against enemy armies across the country. After a couple of years, the land was saved and all these victories concluded the establishment of Turkey Republic on October 29th, 1923. In the new Turkey Republic where was gratulation widespread, many of the revolutions followed the military victories and accepting the new administration system. 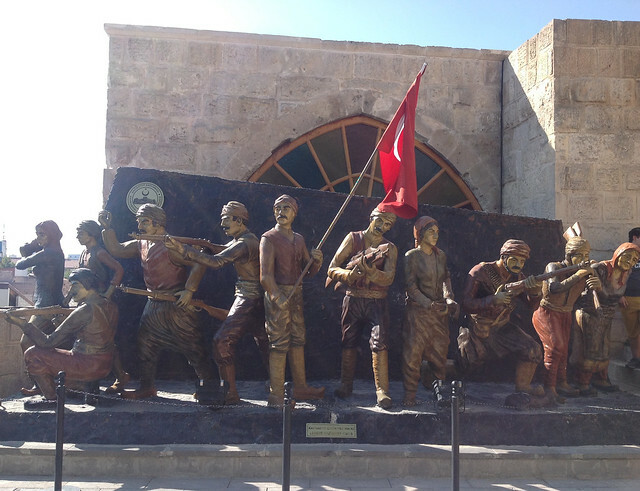 Gaziantep was a very important victory during the defense movement. The province was honored by being named ‘veteran’ after the war. Veteran means one who fights on behalf of Islam and one who fights but does not die in the war. 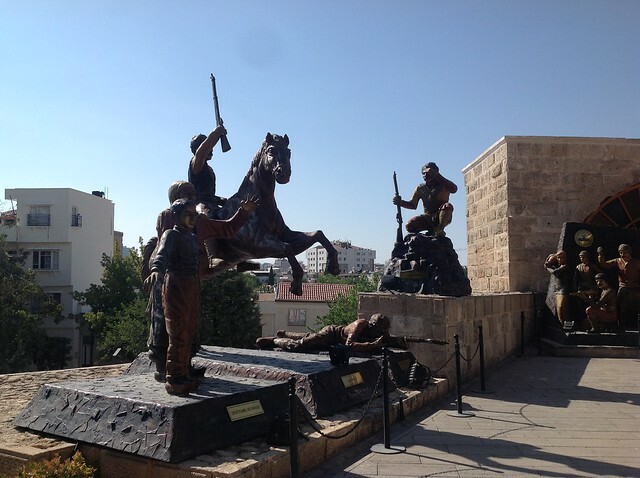 Above you see the photos of The Gaziantep Panoramic Museum of Heroicness and Defense which was opened on 2008. 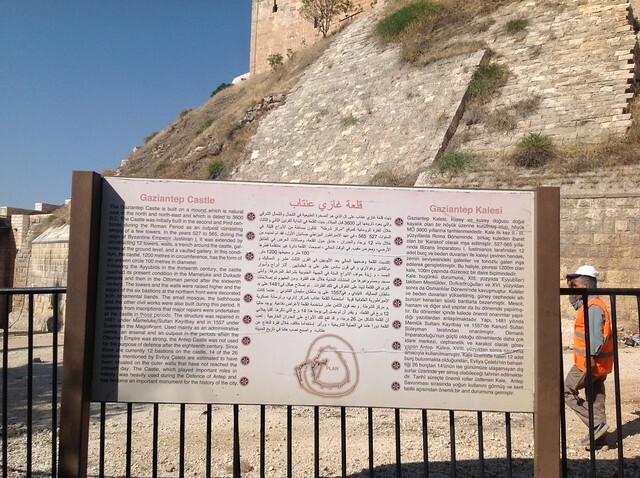 The museum was located inside The Gaziantep Castle which was built on a tell (an ancient mound in the Middle East composed of remains of successive settlements). There is a gallery that tells the story of epic battle to save the city inside the museum. The story is told by photography, presentations, sculptures, relief works and models of the defense organization, frontages, important personalities and the public. At the entrance of the museum, there are sculptures of memorial moments from the war. The public defense was a very important factor on gaining the victory. The public defense included men, women and children fighting in the urban and rural areas of the city. At the left side of the photo above, you see the sculpture of Martyr Kamil and his mother. Kamil is a child who died a martyr when trying to protect his mother from enemy soldiers who assaulted her on the street. Because of his defense, he became a public hero and his name was given to one of the districts, one of the streets, one of the schools, one of the cultural sites of the city, also there is another Martyr Kamil Sculpture in the city. 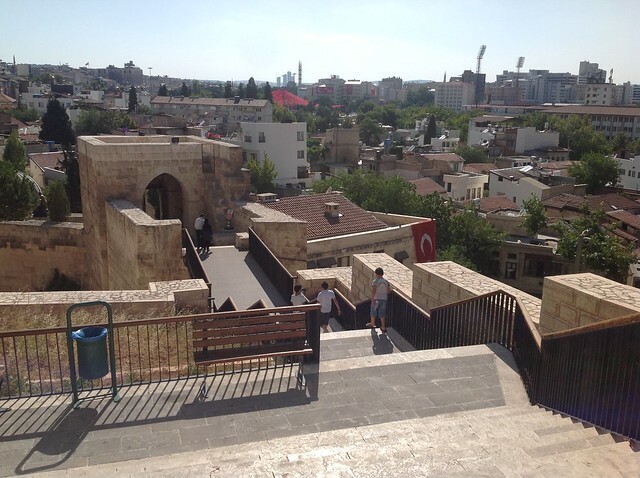 At the present day, Gaziantep is one of the biggest cities in Turkey where history and present is harmonized. 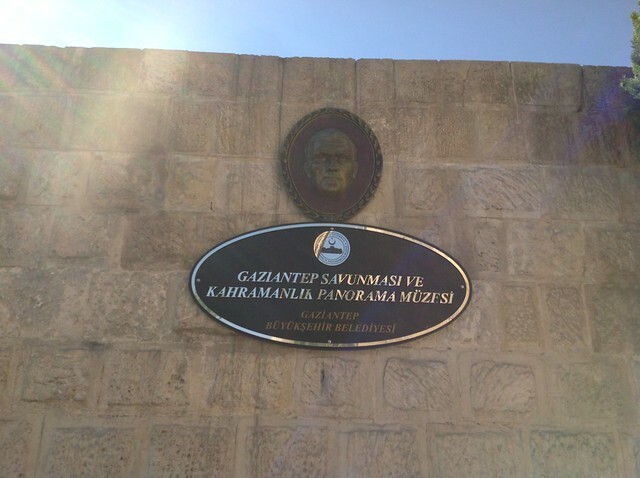 In addition to The Gaziantep Panoramic Museum of Heroicness and Defense, there are many museums that reflects the cultural identity of the city, such as Bayazhan Urban Museum, Emine Göğüş Kitchen Museum, Ali İhsan Göğüş Museum and Gaziantep Research Center, Gorgo Medusa Glass Works Museum, Zeugma Mosaic Museum, Gaziantep Archeology Museum, Hasan Süzer Etnoghraphy Museum, Yesemek Open Air Museum, Gaziantep Atatürk Memorial Museum, Gaziantep War Museum, Gaziantep Game and Toy Museum, Islamic Science History Museum, Gaziantep Turkish Bath Museum, Gaziantep Cultural History Museum, Gaziantep Mevlevihane Vakıf Museum and Copper Works Museum. All photos by Elif Yasemin Azaz.